Jiangxi Naipu Mining Machinery and New Materials (Naipu) specialises in the development, manufacture and marketing of mining equipment and rubber spare components. The company is equipped with one of the most advanced 8,000t platen vulcanising presses in China, as well as a large gantry type boring and milling machining centre, vertical machining centres, vertical lathes, 4.5m x 14.6m diameter autoclaves, and other advanced facilities. Naipu has advanced inspection and testing facilities in complete sets, made by Taiwan Gotech Testing Machines. The company focuses on ore dressing process applications, with a variety of related products, to meet the demands of non-ferrous, ferrous and nonmetal miners. Slurry pumps and rubber-wetted parts, hydrocyclones, rubber mill liners, stators and impellers for flotation machines, trommels, rubber and polyurethane vibrating screen plates and panels, and rubber lined pipes and mining hoses are the company’s key products. Naipu has successfully applied new elastomer materials in spare parts manufacturing, which results in unique compounds and technology, with improved corrosion and abrasion-resistant performance. Service life is doubled, or can even be several times longer than the same parts made from metal. The company has a professional R&D team with years of mining experience, and an understanding of large-scale mining equipment manufacturing. Naipu’s team consists of experts in fluid mechanics, machine design, rubber compound, and process technology, engaging in the development and application of mineral processing machines, molds, new material, and technology. Customers also benefit from Naipu’s established long-term cooperative relationship with China’s mining industry engineering institutes, such as the Beijing General Research Institute of Mining and Metallurgy (BGRIMM), the Changsha Institute of Nonferrous Metallurgy, and China Nerin Engineering (NERIN). Naipu has an extensive sales network in China, as well as outlets in Africa and South America. The support service and sales teams are available all year round in China and overseas, providing support to clients. Naipu ensures products are of a high standard, and its clients include miners and mine operators in China and abroad, including Jiangxi Copper (JCC), CITIC HIC, China Gold Group, Yichun Luming Mining, Taiyuan Iron&Steel Group, West China Mining Group, Jinchuan Group, PanSteel Group, Erdenet Mining Co and Oyu Tolgoi LLC in Mongolia, Chambishi Copper and Luanshya Copper in Zambia, LKAB in Sweden, SHP in Peru and SMR Moly/Iron in Russia. Founded in 2005, the company’s predecessor was Jiangxi Naipu Industrial, before it was joint stock system reorganised in April 2011. It is now part of National Equities Exchange and Quotations (NEEQ), and has been since 1 December 2015. 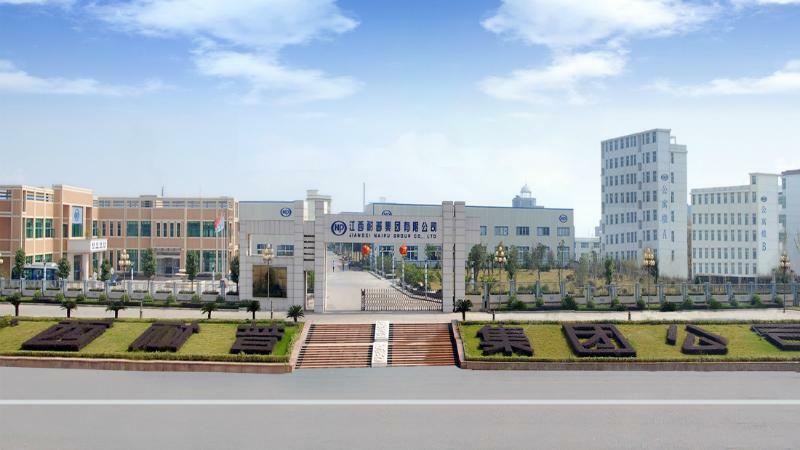 Located in the Shangrao Economic Development Zone, Jiangxi Province, Naipu runs two factories, and is accredited to ISO-9001, ISO-14001 and GB/T28001 standards. The company was awarded a certificate for high-and-new-tech products by the Jiangxi Provincial Government in July 2007, being categorised as a key enterprise in the province. Naipu was identified as a high-and-new-tech enterprise in November 2011, and was awarded the certificate for high-and-new-tech enterprise in September 2014. Naipu was awarded provincial famous brand status in 2012. The company was named a provincial technological innovation model enterprise in 2014. The company has been rated a Class A taxpayer for five years in a row, since 2010. In November 2015, the company was approved by the Ministry of Human Resources and Social Security (MoHRSS) and National Postdoctoral CMC to set up a National Postdoctoral Scientific Research Workstation. Naipu was the first company to perform two-phase flow analysis for slurry pumps and grinding mills by using computer simulation software. Naipu develops a variety of products, covering the mineral processing flows in non-ferrous metals and non-metals industries, with its main products being slurry pumps and rubber wet ends, hydrocyclones, rubber mill liners and trammels, rubber stators and impellers for flotation machines, rubber and polyurethane screen panels and plates, steel and rubber composite pipes, and hard-wall mining hoses.